Thankfully, Nintendo has reversed its initial order to block all streams of Super Smash Bros. Melee from the Evo fighting tournament. Nintendo has been really flexing its copyright muscle as of late, but its latest move to protect its properties was met with such harsh resistance that it reversed the decisions within a day. Earlier this week, Nintendo of America informed the organizers behind the Evo fighting tournament that it didn't have permission to broadcast Super Smash Bros. Melee for Evo 2013, which would have effectively banned the game from being streamed for fans to watch. Obviously, this is a scumbag move, and someone at Nintendo with half a brain realized this and reversed the decision very shortly after. 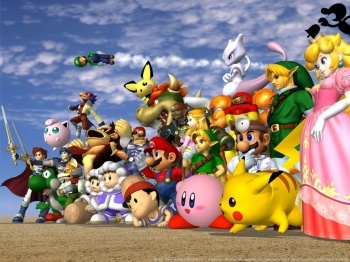 Banning the game from being broadcast would have been a huge slap to the face of the Smash Bros. community, who raised nearly $95,000 in Evo's official charity fundraiser for breast cancer research, in order to have Melee feature at Evo 2013. Furthermore, this isn't a "fair use" gray area like the "Let's Play" videos Nintendo was blocking earlier, this is a legitimate fighting game tournament. It's madness. It would be like Adidas trying to stop world cup broadcasts because they use an Adidas branded ball.